As I continued through the messages, a common theme emerged. Between grade school, junior high, and high school, there were a lot of references to funniness — to my jokes, to the many apparent goofball memories that these pseudo-friends held deep in their hearts during the five seconds it took for them to write it all down and move onto to the next yearbook. The funniest girl in class. As I sat there, mulling over the pages of forgotten sentiment that once carried so much weight in my own validation, I realized that the funny girl quip was more than just a flippant yearbook compliment, it was a strategy, a shield, an identity. I don’t recall the first time I got a rousing laugh from a group, but I imagine it goes way back. 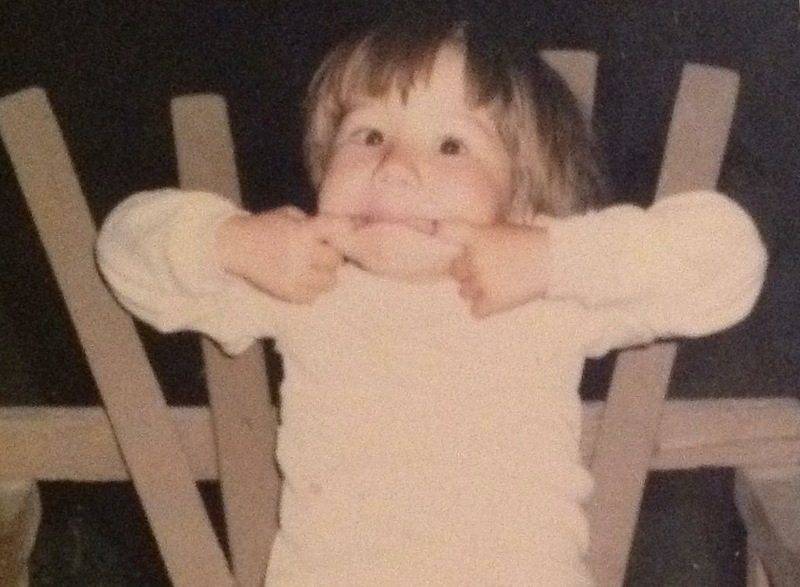 My parents often reminisce on how I was the chubby, smiley baby who couldn’t help but constantly coo and gurgle for fellow patrons in the restaurants and stores. And isn’t that the tale as old as time? Girl dazzles crowd with pithy one-liners to distract them from her thick thighs and rubenesque arm creases. Maybe babies in the 50th percentile can play it cool, but babies in the 99th percentile gotta work twice as hard to earn that love. Yes, I was the girl who did awesome Gilbert Gottfried impressions in the cafeteria and wondered why I didn’t have a date to homecoming. That’s fine, though. As evidenced by the aforementioned Coolio performance, I didn’t need a date to homecoming. I had nimble dancing shoes and access to a microphone. Looking back, I acknowledge that having the loudest laugh and the quickest joke was often a defense mechanism. Fire first so no one had a chance to fire at me. Make everything a joke so that nice boy in science class couldn’t get too close. Put a snarky lid over my vulnerability so I always had the upper hand, the power, the control. I was too scared to know what people really thought of me, so I decided early on that I would make myself the quick witted funny girl, without any consideration as to how others might perceive me. Wielding humor in this way made me feel safe – safe from judgment, safe from betrayal, safe from disappointment. And while being told by the popular girls and the cute boys that I was the funniest girl in class wasn’t a mark of acceptance, it wasn’t a mark of rejection either. Yet, for all the ways that being funny shielded me from the soft, glittering, romantic experiences that many of peers enjoyed throughout adolescence, I cannot overstate the power and joy it has given me as an adult. It has made me a great storyteller, a skill that has helped me in my career as a communications professional. It has helped me make connections and forge strong relationships with the mentors, colleagues, and friends that have been by my side through some of the toughest, most grueling moments of my life. It has helped me be a better mother and wife, as being able to crack a joke or find the levity in the day-to-day challenges makes even the hardest days seem surmountable. I’m even lucky enough to now be writing and producing comedy here in Chicago alongside two other hilarious women. We bear witness to the important role that humor plays in helping people make sense of an increasingly frustrating world. Today, being “nuttiest chica” is no longer my defense mechanism, but a key component to my empowerment and liberation. So cheers to the funny girls. May we know them, may we raise them, may we be them. We need them now more than ever.